If you look at the 2013-14 Bison football roster, a recruiting trend might stand out: the number of players from B. C. This past season, a whopping 23 players are either British-Columbia-born or have spent time playing football on the west coast. 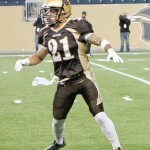 Hailing from towns from Surrey to Campbell River, they’ve all come out to the prairies to put on the pads for Manitoba. 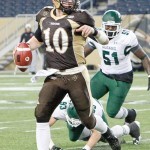 Quarterback Jordan Yantz is one of those B.C. players. He, his Vancouver Island Raiders teammates Tremaine Apperley (defensive back), and Matt Sawyer (wide receiver), were recruited coming out of their final junior football season in the British Columbia Football Conference. All three players helped make the Raiders one of the most dominant teams in the history of the province’s conference. The Raiders won two national championships along the way, and earned numerous accolades. Jordan Linnen, on the other hand, played as a standout defensive back against the Raiders. 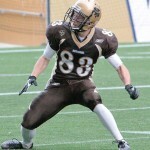 He was a member of the up-and-coming Langley Rams. 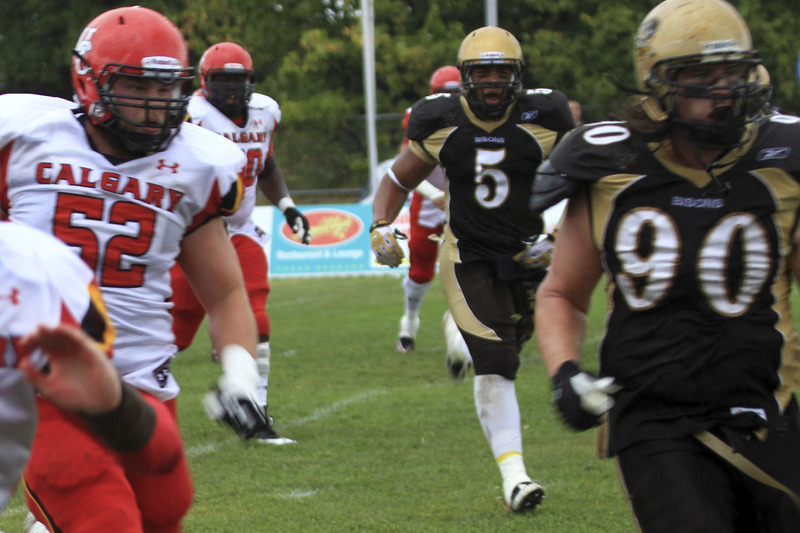 Head coach Brian Dobie originally began recruiting him after his final year at Surrey’s Frank Hurt Secondary School. 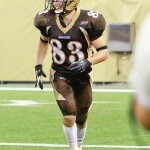 It wasn’t until this past year, however, that Linnen finally came to the decision to play for the Bisons. For Yantz, Apperley, and Sawyer, their stories started in an entirely different province. 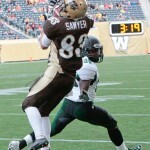 All three originally grew up playing football in Regina – Yantz and Sawyer both at Winston Knoll Collegiate, and Apperley at Sheldon-Williams Collegiate. After trying things out at home, they ended up travelling to Vancouver Island, and the rest, as they say, is history. Once the four players were all settled in with the brown and gold, things seemed to progress nicely. 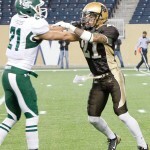 One of the biggest factors was coming to understand the work ethic and competitiveness of the players on either side of the ball, especially for former opponents such as Apperley and Linnen. While respect is one factor, having someone to compete against and push you is also beneficial, which is another reason Linnen was excited to play for the Bisons. “If you see it now, with the guys we have in the secondary, me and Tremaine, we’ve competed head-to-head for four years, and I’ve had nothing but a great, competitive relationship with him,” Linnen told the Manitoban. For Sawyer, the feeling of camaraderie has been tremendous. “The team out there [Vancouver Island], we all got along, and we’re getting the same feeling out here. Everyone is just buying in,” the wide receiver added. The results have appeared immediately. 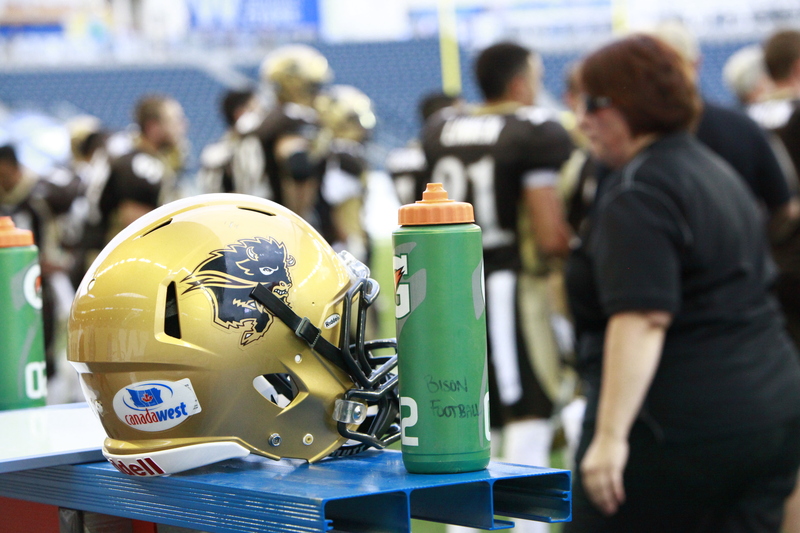 Manitoba finished with a 5-3 record last season, with each player contributing in their respective positions. 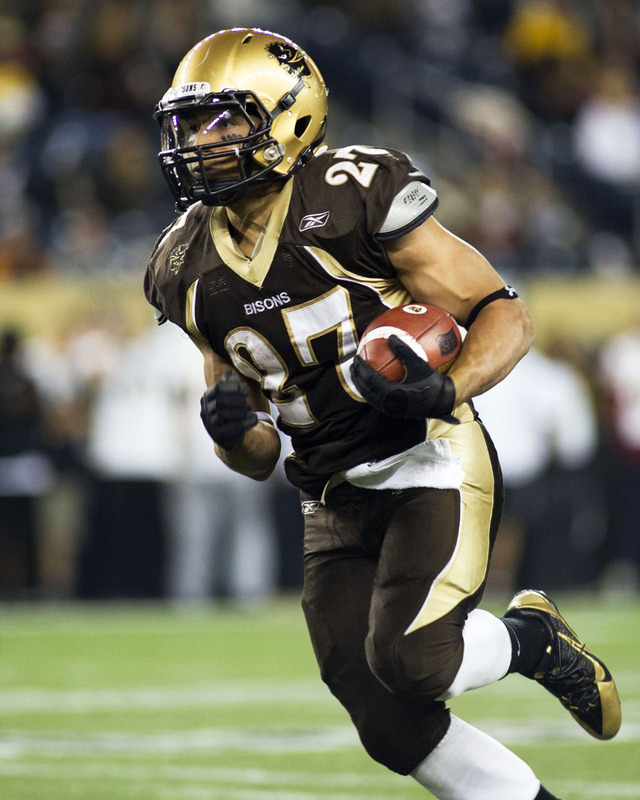 It was the team’s best finish since winning the Vanier Cup in 2007. An added bonus of recruiting from junior football programs is veteran presence that comes along with that. “A positive about recruiting junior players like ourselves is that we got playing time, and were able to establish ourselves as players,” stated Apperley. With a year under their belts and great team chemistry, the sky is the limit for Yantz, Apperley, Sawyer, Linnen, and the rest of the team as well.